The 2018 Summer Trail Race Series is now complete. 2018 was the sixth iteration of the series. 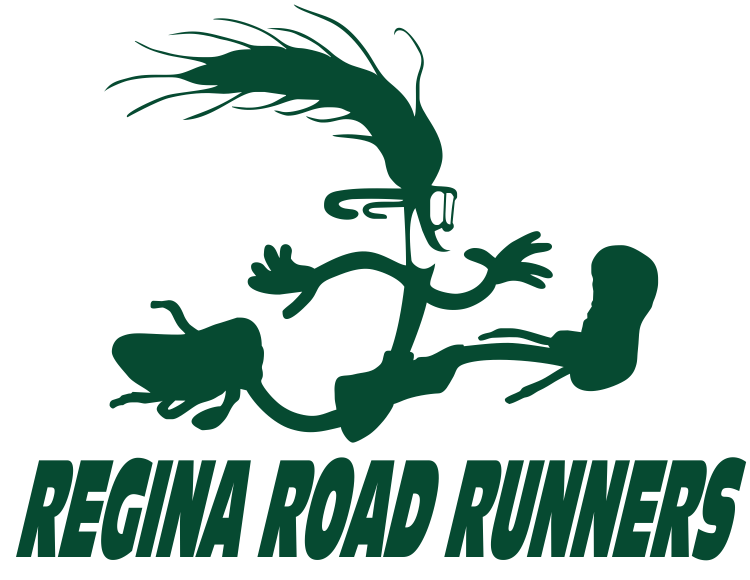 The series is designed to get runners together and enjoy trying some great trails not too far from Regina. When: Tuesday nights (weekly), 18:15 race time. Course overview and instructions at 18:10. Series will begin August 14 and end October 2. Course: A moderate course will be set at each location. Courses will be marked in 2018. Maps will be made available electronically (see below) when possible. Who: RRRC members. Guests are welcome to come for an evening race, but the series is planned for members. Please buy your membership online. Registration: None required. Just arrive in time to get your name recorded and sign the waiver. Schedule is tentative. Please check again close to each week to confirm location. The current week will be at the top of the list. Meet at the big map near the entrance to the parking lot. Directions to Wascana Trails. Sections will be slippery when wet. An alternate course or location may be devised in the event of rain. The Regina Bypass construction has reached Hwy 11, so please allow some extra time for travel. Delayed start time to 18:30 to allow extra travel time. E-mail Mitchell if you know you are coming. The Moose Jaw Pavers cycle club has an overview map of the area. Trail Forks has an interactive map of the trails. Start at parking area off Grid #641 West of Lumsden. Turn right off James street, just south of the tracks in Lumsden, then follow #641 until the pavement ends, after about 300m of gravel, there is a trail map on the north side of the road. The Regina Bypass construction has reached Hwy 11, so please allow some extra time for travel. This will be run as one way course. We will meet and then carpool to the starting location. Distance is about 6 km. Trail is mostly grass covered. The mowing schedule is not known. 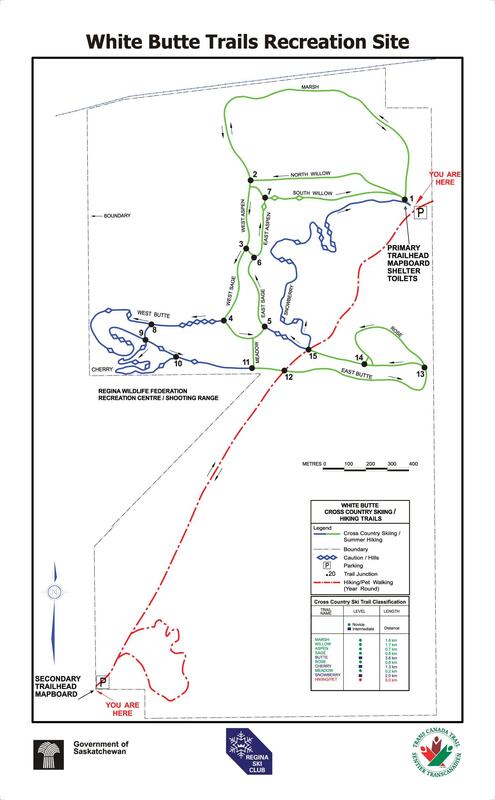 An overview of the Lumsden area TCT is available along with a detailed map. The Trans Canada Trail was completed on August 26, 2017. This week will celebrate the anniversary of the achievement of a national trail. Meet at the maps by the primary trailhead. Click for directions to White Butte. Qu’Appelle Valley Nordic Club offered to let us use their new facility with a few kilometres of freshly cut grass trail. Check out the progress on this new club on their Facebook page. 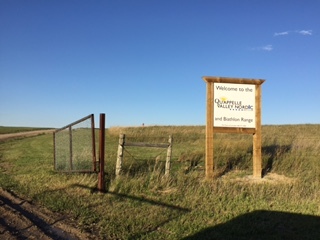 Meet at the top of the hill, just past the sign (picture below) Directions to Qu’Appelle Valley Nordic Club. The Regina Bypass construction has reached Hwy 11, so please allow some extra time for travel. 5 km. Course will be the same as used in the QVN Family Fun Run in 2017. The 2018 event is a different course and was on September 1 2018. QVN puts a lot of work into their trails. Donations are welcome. Meet in the parking lot at the north end of the retreat centre. Thanks to Living Skies Retreat and Conference Centre for allowing us access to their trails. Directions to Living Skies. The Regina Bypass construction has reached Hwy 11, so please allow some extra time for travel. Grass may be long. Watch your step! Distance will be 5-6 km. Different start location than past years! To get to start location, travel north on Hwy 20 from Craven. Turn right on Valley View Estates road. Pull in at the playground. Or follow this link. Distance is about 5.3 km. Meet at the Science Centre parking lot. Muddy and slippery when wet. Course is about 6 km. Rankings will be implemented if participation is sufficient. Prizes subject to participation and availability. Eligibility for prizes has not yet been fully developed, but will change depending on the number of runners attending.